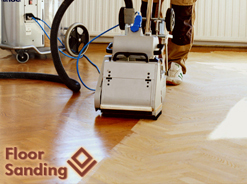 The Best Quality Floor Sanding for Your Home! We are welcoming in our respected company that is occupied with offering high quality floor sanding, done in a completely professional manner. Thanks to our dedication and motivation you can easily have your hardwood and laminate floors repaired and floor sanded. Our primary aim is to meet the requirements of our revered customers, offering them great availability and comprehensive attitude. Find us in London and make a consultation with our hard working staff 7 days per week. We promise to treat the floors in a careful manner and according to all the standards. Before we start with the real sanding, we will first prepare the floors for the sanding process. 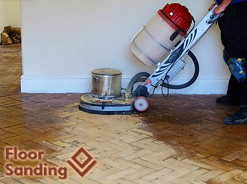 After that our floor fitters will remove the old coatings and they will use the latest sanding machines and abrasive materials to provide perfection in every aspect of the floor sanding. As a final procedure, we are able to provide coating with oils or sealants. Our experienced floor fitters are capable of organizing the floor sanding in an immaculate way so that your wood floors would acquire outstanding look. Do not hesitate to contact us from Monday to Sunday to book our floor sanding and to discuss your preferences with our friendly and responsive staff. We promise to take into account your preferences and to offer you the best decisions for the repair and restoration of your wood floors. 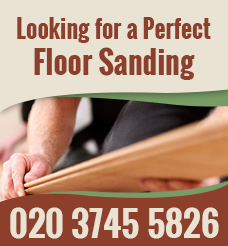 Contact us in London and choose the best care for your floors at very reasonable prices. Find out more about our exclusive offers through the customer support centres, ensured by our committed company. Your floors will be treated with attention to detail and by floor fitters who are acquainted with the modern technologies in the floor sanding.